Discussion in 'Treatments' started by jibs, Apr 24, 2013. Our member generalfuzz has created a nifty web application that you can use to administer your own Acoustic Coordinated Reset Neuromodulation therapy! 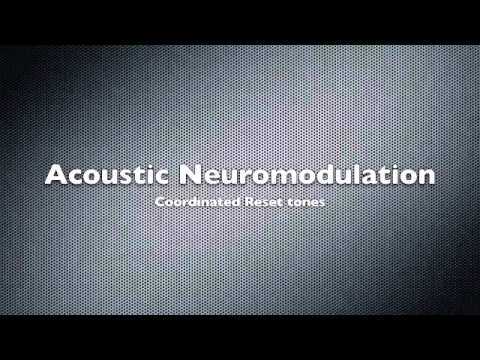 The following is be a guide on how to create your own Acoustic Coordinated Reset Neuromodulation audio. To make this it will take around 1-3 hours, depending on your computer usage ability. It is boring and tedious as I can't make a program to just spit out the final product. But seeing as how companies are charging 5k for this. It is worth a shot if you have time and want to give it a shot. My method goes uses information provided in the studies and from a de constructed sample from a professional service. It may not be exactly the same as what is provided by a professional service. First and foremost, you need to find your tinnitus frequency. This is the most important thing to do. If this is incorrect, you will just be wasting your time. If you don't know it, I suggest you spend as much time as possible trying to get the frequency as close as possible. Don't even start unless you are comfortable that you know it. Play 4 sine tones, 2 above and 2 below your tinnitus frequency. In a random order for a sequence of 12 tones follow by a short break. To do this you will need an audio editing program. I use audacity. It is free. Google it, download it. In audacity go to the top menus and click generate>tone. Now you get a nice tone. But it isn't finished yet. Click the selection tool (above the magnifying glass) and highlight the first 0.07 seconds of the tone. Go to the top menu, click effect>fade in. Repeat for the last 0.07 seconds for fade out. After this click at the end of the tone so it is no longer highlighted with the selection tool. Then go to generate>silence and make 0.01 seconds. Repeat this process until you have created your four tones. These are now your reference tones. Now comes a whole lot of copy and paste. Here is the following order of how I did mine (going of sample deconstruction). After this you have your first set of 12 tones. Now you need to add the silence component. So again click generate>silence and do 1.4 seconds. Following this you will do another 12 tones -> silence -> 12 tones ->silence and so on. Here is the full tone structure if you want to copy mine. After this you should have a sequence that goes for about 30 seconds. You can add more random tones if you wish. It should look something like this, except much longer. In regards to volume, it should be just high enough to mask your tinnitus. Export the audio to an mp3 and away you go. *note 1 - I found if you have a high tinnitus frequency, listening to the high pitch tones over and over, especially tone 4 can be uncomfortable. I don't know how many people in the study had a high frequency as I think they mentioned the median frequency was 4khz. *note 2 - If you are getting zero RI after a 30 second loop, not even 1 second. Something is wrong, either it won't work for you, or you got your tinnitus frequency incorrect (this happened to me the first time). *note 3 - Although they boast a 70% success ratio. They had a somewhat specific sample group. It had to be within a certain frequency range, had tinnitus for a certain period of time (I think atleast 6 months), did not have TMJ etc. EDIT by Markku: All talk about this Do-It-Yourself method can go in this thread you are now reading. Thanks to jibs for a comprehensive guide. However, if you are participating in an Acoustic CR clinical trial or have bought that device and use it, then please use the original ACR thread, which you can find by clicking here. Thanks for this jibs. Excellent work. Excellent, got my brain in gear this morning. I'm now (instead of working) creating a sampler with pure Hertz tones in 100 Hertz intervals. I don't know how many people will have access to software to use it (I'm using the NNXT in Propellerhead Reason) but I will create them as 1 second sound files so I can mail them to anybody who wants to use them. I'll update once I've done it. Tones done. If anyone knows their tinnitus tone fairly precisely and wants to try this, post here. I've created a sampler so it should literally take me no more than 10 minutes to generate tones based on Jibs pattern above. I can then put it on my YouTube channel and embed it here. Ohh thanks for pointing me in the direction of a good audio application. I will try again with that program tomorrow. Because I am having a lot of trouble getting my tinnitus frequency exact and being able to do that would save a lot of time. 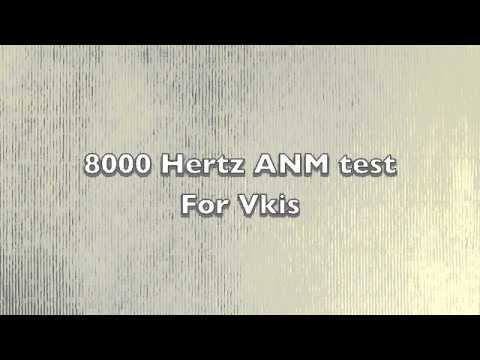 What a is a pure hertz tone? A year ago, I made several MP3 files like this. Only used two tones, with +400 Hz and -400 Hz centered on my tinnitus frequency. I used the NCH Tone Generator, which isn't free. It really isn't that difficult. For six weeks I listened to a track for 2 hours a day, on some days I listened 4 hours! It did seem to change my tinnitus from a pure tone to a buzz. I like the fact that you are using the actual methodology used by Acoustic CR. I was winging it, "Going where no man has gone before" - at least in my mind. I was also experimenting trying to simulate the Serenade track (which is so-much hyped). If a person dilengently follows your protocol, checking their tinnitus frequency, adjusting the track, they could save themselves a lot of money. Once I went to an ATA discussion group and I mentioned what I was doing. Someone said that people have been listening to pure tones matching their tinnitus for years. In the old days they would listen to oscillator circuits they had built. I have also read that some TRT therapists use pure tones, rather than white noise, in their therapy. A famous tinnitus researcher I've talked to explained how the Acoustic CR frequencies can suppress tinnitus. He said that by using frequencies that are above and below the tinnitus frequency, brain areas that surrond the overstimulated tinnitus brain area are stimulated. By stimulating these surronding areas, the tinnitus area of the brain is inhibited. It's called "neural inhibition". All neurons respond to and transmit synaptic voltages. By applying a voltage to the side of a neuron, the neuron calms down. I'll work something up now and post it Vkis. Jibs, I was meaning pure Hertz tuning, I didn't write that very well. Most of the notes in our music scale aren't pure numbers (eg, middle C is 261.63Hz). Our tuning system for Western music is equal temperament, it takes the difference between an octave and divides it equally to get the notes you hear. These harmonise with each other quite nicely so it became the standard. We use 440 Hertz to tune middle A, the next A up an octave is 880 Hertz, then 1760, 3520, 7040. So a difference of 100 Hertz at middle A is nearly 4 semitones (4 notes on a piano), whereas at the A 3 octaves up, 100 Hertz is around half a semitone. is there anything to download or you have just done it in house? Tone cycle for 8000 Hertz tinnitus based on the theories above. I can either mail an MP3 or if there's a way to do it embed the file for download here. Now I've synthesised the sounds and programmed the sequence it will take a matter of minutes to do it for any tone. I'll even do a discount and charge you a mere £3500 each, can't say fairer than that eh? You can embed the .mp3 here. Use the "Upload a File" button when creating a reply. Thanks for your efforts; I will need to pinpoint my frequency and maybe you'll get one for me too. I would be interested in testing this and I have very good quality headphones. Ah yes, that large button at the bottom. Mp3 attached. Let me know the frequency and I'll work a file up for you. I'm not 100% sure, but the closest I could come to today is 9500 Hz. i ve downloaded this , and it s really looks like the 3500 p device as i ve tested it last year in belgium. That's a great resource to help you get your pitch, didn't realise they had it on there. Good to see something free considering the prices they charge. It would probably be easier for you to find your pitch if it was pulsed rather than a constant sound. Mine is 13.5 kHz. Thanks Steve. You're right myself, it's way faster. I don't know how I did that as I was actually using the device when I made them. I've attached the 2 tones at roughly the same speed as the device. As far as I'm aware (from the trial) it's supposed to be for tinnitus up to 10Khz. Worth trying anyway though I suppose. I made another synth to produce the tones for your higher pitch, file attached. *Edit Any suggestions as to what I may be doing wrong? The ANM treatment is only for tonal tinnitus as far as I'm aware, maybe if you could get a lower and higher pitch that your tinnitus is within I could make something more noise like using a combination of tones. It would be a totally random experiment though. I just used the sample I found. Which I copied exactly. What is the speed of the device? Longer tone length, longer gaps between individual tones? If someone has the device, if they could run an audio cable to their computers input (line in) and record their sequence then post it on the site. It would be much appreciated. Hi Jibs, I copied it pretty much the way it sounds (I think), I used your intervals but the tones were faded in and out to what sounded right. Once I get my head into audio though I sometimes zone out, as myself pointed out I made it way faster than the actual device originally. Yeah it is exactly 2/3 according to the study, because it states it should be 3 cycles of tones and 2 cycles of silence. I just had the sample above and mine below and got the timings to be the same. Why do your tones sound more uhh twangy? What frequency was that sample. thanks for putting these up Steve - strange sound but did seem to have something of an interrupting effect on the tinnitus - how long lasting that would be I don't know but I guess they say you have to use it for a long time to have an effect. 4-6 hours per day, they say? That's a long time and I'm not sure whether I currently can do that... but we'll see. yet I know what you mean - it's a big time commitment (plus a lot of cash if you're not in a trial) - I think if I was convinced it really did have a long-term effect I might try it - but that is a big if. They used special headphones that allowed outside sound and wore while at work etc. Wow that sounds sooo much different. I wonder if different companies used different devices or have modified the calculations. Ok your one from the device is a different structure all together. It seems to be 2 tones mini silence 2 tones mini silence 2 tones mini silence, longer silence repeat. It doesn't even follow the structure of the german study.